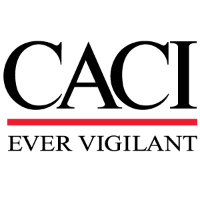 CACI has an excellent opportunity for an experienced, self-directed, Geographic Information Systems Software Engineer to work in a full-time capacity designing, developing, and maintaining spatially focused cloud computing architecture. The architecture will ingest and store big data containing raster, vector and unstructured/structured data sets. The GIS SE will research, design, develop and maintain enterprise systems and application leveraging the Cloudera and ESRI ecosystems. The GIS SE will develop, tune, automate, scale and maintain large clusters of services and systems while supporting high volume data flows and extract, transform, load (ETL) processes in support of real-time and near-real time analysis. The GIS SE will regularly interact with geospatial analysts, other stakeholders and alternate development teams; research and develop data mining and analytical techniques; implement scalable solutions in data driven environments; ensure data validity and interoperability across a diverse set of analytical requirements that enable analyst to solve complex problems. A DOD Top Secret Security Clearance with DCID 6/4 eligibility. Military background and experience with Special Operations.